I admit it – I’m a total hop head. For someone who loves beer and everything about it, I have a pretty narrow overall taste (but I’m working on it!). I generally don’t like lagers as much as ales (although I can enjoy a VERY good pilsner occasionally), I don’t really care for Belgians, Saisons, Sours, or Gose-style beers. But you know what I love? Every IPA I have ever tasted. Seriously, the worst IPA I ever had was wonderful. Same goes for Pale Ales, most brown ales, porters, stouts, etc. So, because all I can think about is hoppy beer right now, let’s explore the magic plant that makes our beer so hoppy and delicious! Hops are the female flowers of the Humulus lupulus plant. The hop plant is a perennial plant, which means that it lives multiple years and does not need to be planted annually. The hop plant is a climbing vine, which grows from a root system that survives the winter underground. Hops are generally trained to climb trellises or ropes to allow them to grow larger and produce more flowers. At the end of the summer, the hop bines are cut down, and the flowers are removed and dried for later use. In brewing, hops are added to beer to add flavor, bitterness, and aroma. Additionally, hops are a stabilizing agent in beer. There any many varieties of hops, each with their own flavors, aromas, and bitterness. What gives hops their bitter flavor? Hops contain different substances that impart flavor and aroma to beer. They get their bitter flavor from, Lupulin, the bitter yellow powder found in hop cones. Lupulin is the primary ingredient that we are trying to extract into our beer when we add hops to the boil. Alpha Acid Units (AAU) are the measurement of potential bitterness in hops. Alpha acids are chemical compounds found in the flowers and resin glands of hop plants and are the source of the bitterness in hops. What are some of the types of hops available? This list is by no means exhaustive. There are always new types of hops becoming available, and this list barely scratches the surface of the hops available to you as a brewer. This list is just intended to introduce you to some of the most common and popular hop styles available right now, and to get you thinking about how the hops you use affects the beer you brew. For each of these varieties, I’m going to provide the general Alpha Acid Range, some notes on the aromas and flavors you can expect from using this hop variety, the potential bitterness, best uses, and appropriate styles of beer. As always, rules exist for a reason, but are also made to be broken. Use this overview as a starting point, but also experiment! Amarillo® hops are becoming increasingly popular with breweries and homebrewers as an aroma/flavoring hop. They have an alpha acid range of 6% – 9%, but can be up to 11%. Amarillo® hops have a moderate bittering quality, but are held to be one of the best aroma hops currently available, with strong aromatic qualities. They have a delicate aroma of flowers, fruit, and citrus. They are often described as an amplified Cascade, but Amarillo® has a distinct orange flavor, which makes them different from cascade’s grapefruit flavor. Be careful mixing Amarillo® with other hops, because the flavors can be makes easily by more potent varieties. Amarillo® is said to impart a sweet, juicy flavor to beer. Amarillo® hops are best used in American Pale Ales and IPAs. If you can’t find them, you can substitute Cascade, Centennial, and Simcoe in their place. Azacca® hops are a recently introduced hop named for the Haitian god of agriculture. Azacca® hops are popular for additions late in the boil and for dry hopping due to their exceptional aromatic qualities. With an alpha acid range of 14% – 16%, Azacca® is also an appropriate choice as a bittering hop. Azacca® hops have an intense aroma of tropical fruit and citrus, and imparts juicy flavors of mango, pineapple, and pine. Azacca® hops are appropriate for a wide variety of beer styles, but are a favorite for IPAs due to their bitterness. Additionally, late additions of Azacca are often used in NEIPAs due to the tropical flavors and juicy finish they impart. Amarillo® and Citra can be substituted for Azacca® when needed. Cascade is arguably the most popular hop in both craft brewing and homebrewing, and it is the signature hop of the American Pale Ale. 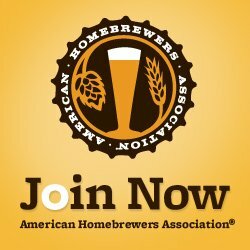 It is inexpensive and easy to grow, so many homebrewers, including me, grow their own Cascade hops. Cascade hops typically have an alpha acid range 4.5% – 7%, which imparts a moderate bitterness to beer. They have an unmistakable grapefruit, citrus flavor, with a unique floral/spicy aroma. Cascade hops are synonymous with hoppy west-coast ales and are characteristic of American pale ales. They are also used in some lagers and can be used in porters. While I can’t imagine you’d ever have trouble finding access to Cascade, Centennial, Columbus, and Amarillo can be substituted for them when needed. Centennial is a popular American hop for bittering as well as in late additions and for dry hopping. With an average alpha acid range of 9.5% – 11.5%, Centennial is an excellent bittering hop. It is well balanced with a crisp, fruity aroma similar to Cascade but with less citrus notes. The bitterness is clean, and Centennial hops impart floral notes when added later in the boil. Centennial hops are typically Pale Ales, IPAs, and Bitters. In the absence of Centennial, you can substitute Cascade, Chinook, or Columbus. Chinook hops are a bittering hop used primarily in American ales. They have an alpha acid range of 12% – 14% and are primarily used as a bittering hop. When used at the end of the boil they impart a spicy pine aroma and flavor. Chinook hops are primarily used in American Pale Ales, IPAs, and some lagers. Because of their high alpha acid range, they are an excellent hop for high gravity beers. If you can’t find Chinook, substitute Columbus, Northern Brewer, or Nugget. Columbus hops have an alpha acid range of 14% – 17%, which makes them an exceptional bittering hop, with strong, clean bittering characteristics. There is an intense herbal, earthy aroma with a faint citrus note. Columbus is very strong, so use it when dry hopping sparingly. Columbus is best used in American Pale Ales, IPAs, stouts, and some lagers. In the absence of Columbus, or if it is too strong, try using Chinook, Millennium, or Nugget instead. Challenger hops are a dual purpose hop with an alpha acid range of 5% – 8.5%. Their moderate bitterness and strong, spicy aroma make them a both a good bittering and aroma hop. They are a UK hop, and have a distinct English flavor of cedar, spice, and tea. They are excellent for any English ale. If you can’t get Challenger, you can substitute Northern Brewer. Citra® hops are a very popular hop with a typical alpha acid range of 10 -14%. Citra® hops have a pungent aroma and flavor of tropical fruit and strong citrus, including orange, grapefruit, and lemon. Their high alpha range and strong flavors make them a very desirable hop for IPAs, especially New England IPAs. When blending hops, Citra® is complimented by Mosaic® and Simcoe. In the absence of Citra®, you can substitute Galaxy. Crystal hops are an American hop with a low alpha acid range of 2% – 5% and a pungent floral aroma. They are used primarily as an aroma hop with mild spicy, floral notes. The spice has notes of cinnamon, nutmeg, and pepper. Crystal hops are versatile and can be used in German or US ales, lagers, pilsners and ESBs. If you don’t have Crystal, you can substitute Liberty or Mount Hood. El Dorado hops are a relatively new hop with intense yet balanced bitterness. They have an alpha acid range of 14% – 16%, making them an excellent bittering hop. In addition to the excellent bittering properties, El Dorado makes an excellent choice for flavor and aroma, imparting intense flavors of tropical fruit, peach, mango, and pear. El Dorado hops are a perfect match for New England IPAs, west-coast style IPAs. Because they’re new, there is not a lot of information on substitutions yet. Leave a comment below if you have a recommendation for substitutions for El Dorado! Fuggle hops come in a US and UK variety, but they are similar in flavor and bitterness. They have a typical alpha acid range of 3% – 5%, making them a good aroma hop. Fuggle hops impart mild herbal aromas and flavors of wood, grass, and mint. They are appropriate for all styles of English beers, including pale ales, brown ales, porters, and stouts, as well as American pale ales. Willamette can be substituted for Fuggle when necessary. Galaxy hops are a relatively new Australian hop that are quickly gaining popularity for its use in IPAs, NEIPAs, and pale ales. Galaxy hops have an alpha acid range of 12% – 15%, and impart a bright citrus aroma and flavor to beers. They are usually used as a late boil addition or for dry hopping to impart the most citrus/tropical flavor without adding too much bitterness. 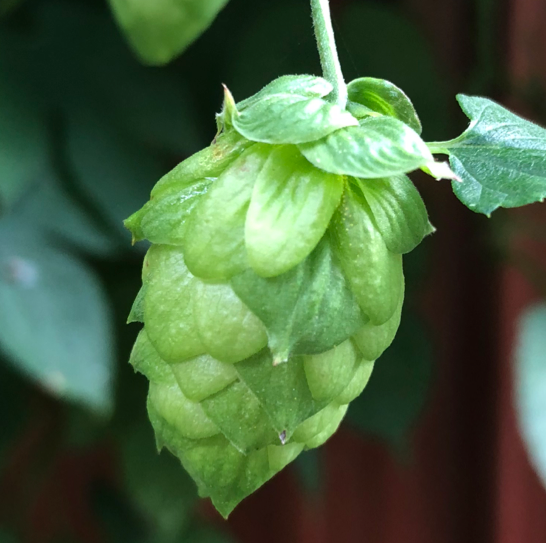 Galaxy hops are similar to Citra and can be substituted, however Citra imparts a stronger tropical fruit flavor while Galaxy imparts a slightly grassier flavor. Goldings are a classic English aroma hop, but they are now also grown in the United States. They have an approximate alpha acid range of 4% – 7%, and have a mild floral aroma with light, sweet flowery tones. Goldings are held to be one of England’s best bittering hops, and are the most popular British aroma hop. They are good for any English beer, including Bitters, ESBs, ales, porters, and even Belgian-style ales. In the absence of Goldings, substitute Fuggle or Willamette. Mosaic® is a new hop that was derived from the Simcoe® variety. Mosaic® has an alpha acid range of 11.5% – 13.5% making it a good bittering hop. They have a wide range of aromas and flavors, including tropical fruit, tangerine, floral, earthy, pine, herbal, and even blueberry aromas. They are becoming very popular due to their complex flavor and aroma. Mosaic® hops make a great addition to IPAs, Pale Ales, Brown Ales and Stouts. Magnum hops are an extremely versatile bittering hop with an alpha acid range of approximately 12% – 15%. They have a clean, neutral bitterness with a mild flavor and low aroma of herbal, pine, and resin. They are versatile enough to be used in almost any style of beer, especially lagers, pilsners, and stouts. If you cannot acquire Magnum, substitute Columbus or Nugget. Northern Brewer hops have an alpha acid range of 8% – 10% and is mainly used for bittering in combination with other hops for flavor/aroma. They are strong and fragrant with woody, earthy, fruity notes. Northern Brewer hops are best for steam beers as well as ESBs, Bitters, English Pale Ales, and Porters. In the absence of Northern Brewer, substitute Chinook. Nugget hops are an exceptionally versatile bittering hop with an alpha acid range of 9% – 11%. While they are primarily used for bittering due to their clean bitterness, they also impart a delicate herbal, floral, and resin aroma and flavor. They are great for light lagers, and are also used for ales and stouts. If you don’t have Nugget, try substituting Columbus or Magnum. Czech Saaz hops are a classic noble hop with a delicate aroma and an alpha acid range of 2% – 5%. They have a spicy, clean bitterness, and have a refined earthy, spicy aroma and flavor. They are a necessity for Bohemian Pilsners, and are also appropriate for other lagers, and Belgian ales. While Saaz hops are a necessity in some recipes, Sterling hops can be used in a pinch. Simcoe® hops are used as both an aroma hop and a strong bittering hop with an alpha acid range of 12% – 15%. They have a unique pine aroma with notes of passion fruit, earth, and citrus. Because of their smooth bitterness and piney citrus aroma, they have become synonymous with the American IPA. When necessary, you can substitute Magnum for Simcoe®. Willamette is an extremely popular aroma hop with an alpha acid range of 4-6%. They impart a mild earthy, slightly spicy character to English and American ales and lagers. Want to give them a try? 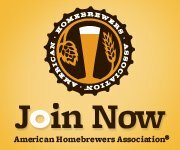 Check out the “Jug O’ Brown” Ale in the Recipes database! In the absence of Willamette, try substituting Fuggle. Ok, all this talk about hops has made me thirsty! I’m going to grab an IPA and order some ingredients from Northern Brewer to brew one of my own. Any recommendations on a recipe? What other hops do you use? How do you use the hops above? Leave a comment below and we’ll add to this list!